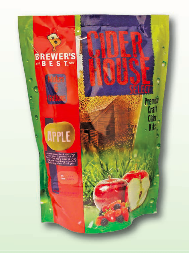 A traditional hard sparkling cider that is packed full of flavor. This apple cider is crisp, light, and refreshing, a perfect choice any time of the year. A soft luscious flavor of cherries that is perfectly balanced by the sweetness of apples. Enjoy! Sharp cranberry tones blend with sweet, fruity apples to create a medium sweet taste with an acidic bite that will make your tastebuds tingle. Sweet peach and tropical mango are surrounded by a crisp apple flavor. Refreshingly smooth on the palette with a perfect balance of sweetness and acidity. Starts off with bold flavors of raspberries on the pallet, finishing with a twist of lime. Wonderfully thirst quenching! The taste of juicy pears combines with the unmistakeable tones of fresh strawberries creating perfect harmony throughout this delicious fruit cider. Packed full of the freshest fruit flavors and exploding with tones of ripe, juicy raspberries finishing with undertones of blackcurrant and hints of blueberries. Cheers!